Lock in a great price for Xenon Inn – rated 9.2 by recent guests! Charming location and history building. Gorgeous torn. Adorable room. We will be back!!! Room was wonderful. Very clean and updated; bed was very comfortable. They had little extras: water and wine in the fridge. Front desk women were extremely friendly and helpful. Breakfast was wonderful and they served it beautifully. 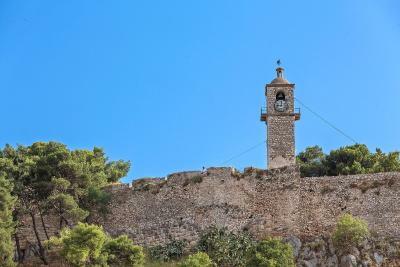 Also it was a great location overlooking the square and close to everything. Beautiful town! We loved our stay at this charming, comfortable and well-located hotel. 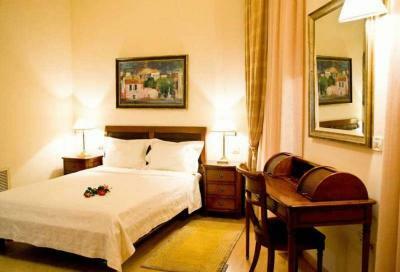 Highlights include the elegant room with lovely balcony, the delicious breakfast, and the lively square. Would definitely recommend to friends and would be delighted to stay here again! 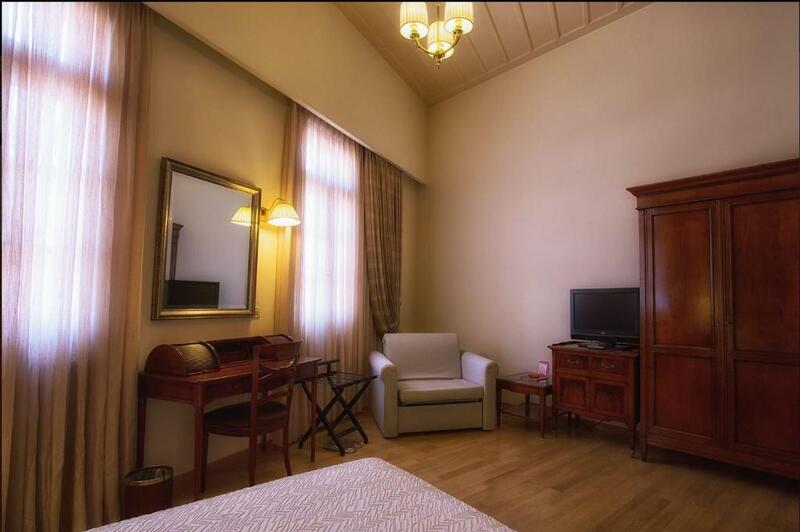 The hotel has beautiful rooms and is right on the main square. The cafe had an excellent breakfast and the hotel staff were very friendly and helpful. It was clean and comfortable, and I highly recommend it. 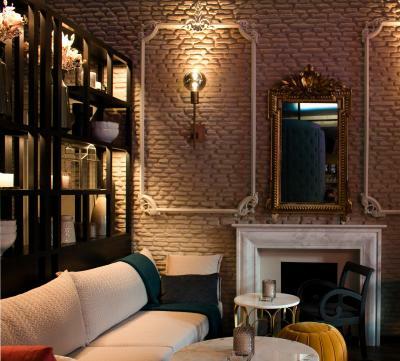 This boutique hotel is super awesome. 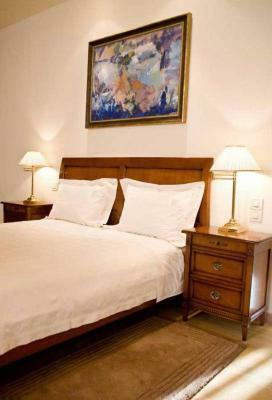 The staff is super welcoming, the suite was amazingly furnished, spacious and stylish. The bathroom was big new and luxurious. The hotel sent us welcome drinks in our room and breakfast in bed! I wish we stayed longer. The feeling of the hotel is like you are staying with friends. 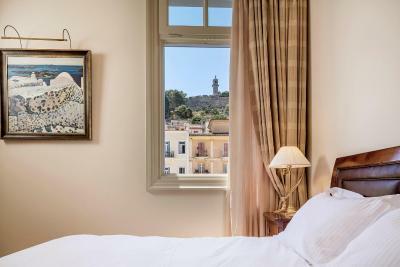 The view from the room was beautiful and the location is the heart of Naufplio. Loved the location, right on the square. Also we had an absolutely fabulous balcony off our room, 106. It was big enough for a table and four chairs and lots of beautiful plants. It was very special to sit out there and enjoy a glass of wine while looking out over the square. The breakfast was very generous and delicious - The best breakfast we have had during our trip here. 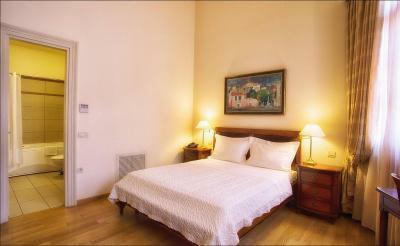 Location, bed quality, kitchenette, atmosphere, the entire room in general. 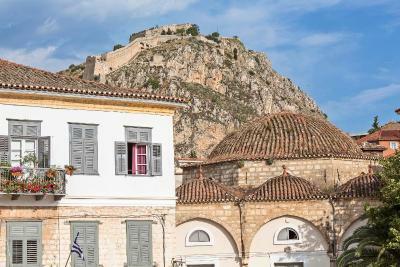 The Xenon Inn is a renowned historical building located in Nafplion’s central Syntagma Square. 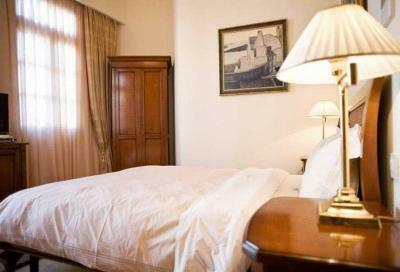 The carefully restored guest house offers soundproofed rooms with free Wi-Fi, flat screen TVs and DVD players. 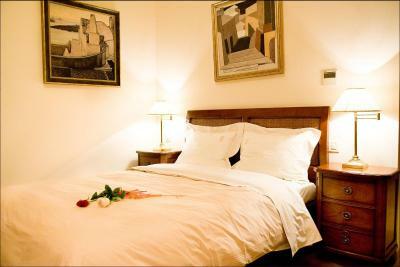 Each of the classic rooms and suites at Xenon Inn has its own character and décor. 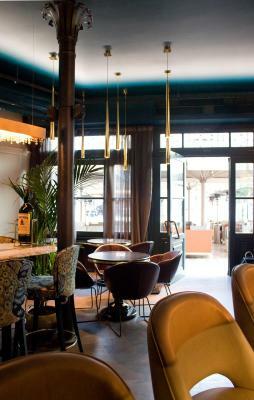 All feature fine furniture, wooden floors and painted ceilings. 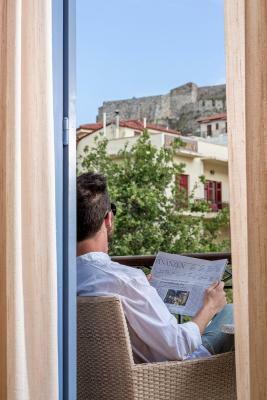 Some rooms also have views over the Palamidi Castle. 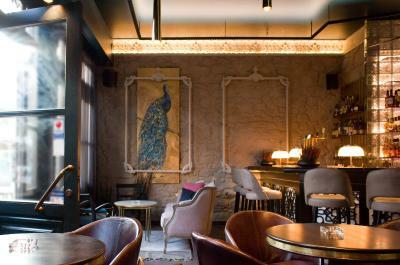 Xenon Café serves breakfast, snacks and local delicacies. 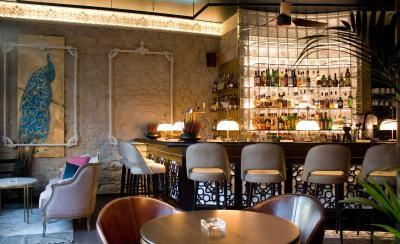 In the evening the bar offers a great atmosphere, with music and drinks. 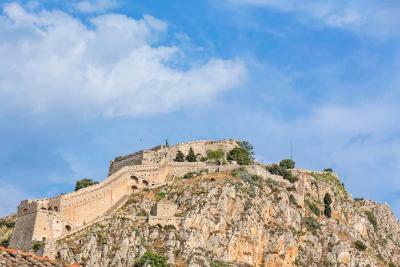 Xenon Inn’s central location makes it a great base from which to explore Nafplion’s historical sites. 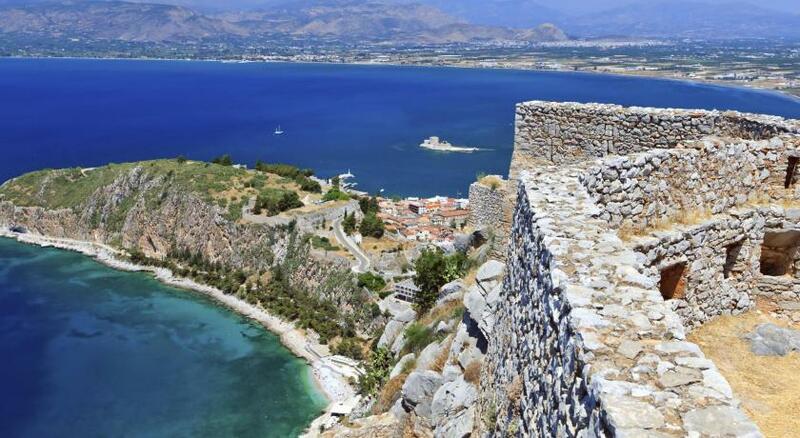 Nafplion Port and the promenade is just 0.6 mi away, while the Palamidi Fortress is 2.5 mi away. When would you like to stay at Xenon Inn? 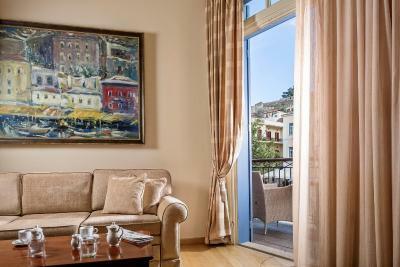 Elegantly decorated room with air conditioning, mini bar and views over the town of Nafplion. Free Wi-Fi is available. 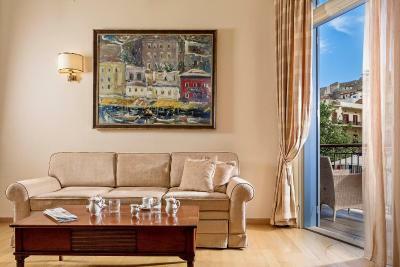 Opening out to a balcony overlooking Palamidi Castle and Syntagma Square, this elegantly decorated suite features a private bathroom with spa bath. It is equipped with air conditioning and a mini-bar. Free Wi-Fi is available. 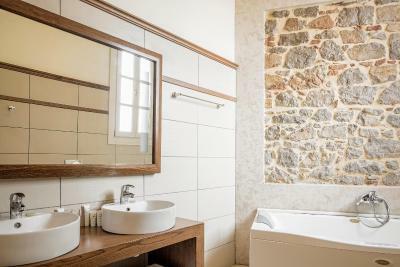 This double room has a hot tub, mini-bar and soundproofing. 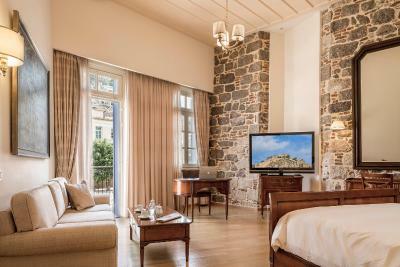 Air-conditioned room with mini-bar, flat-screen TV and a private bathroom. House Rules Xenon Inn takes special requests – add in the next step! Xenon Inn accepts these cards and reserves the right to temporarily hold an amount prior to arrival. You could hear the neighbours in the other rooms. The room and bathroom could be cleaner. Need to pay attention to the details. TV screen showing sports events at the outdoor cafe directly below our bedroom window. Sound proofing was reasonable but could still be heard. It was perfect - nothing could have been any better. Bathroom was fine if a little compromised with a tight shower/jacuzzi and slow flushing toilet. Parking was on the street where you could find it, again OK but meant dragging bags through the town. Entry was up a high staircase, objectively all right unless you had a disability and staff did offer to help with heavy bags. We had a bit of an issue with mites/mosquitoes which interrupted sleeping but I’m not sure how common this is. The downside of the great location is the noise of the square and its bars. The only thing I can think of is that it would've been great to have a full length mirror to the floor to check outfits as the large mirror in the room only showed to my waist if I stood right back- but I think this only was an issue because we were getting dressed up for a wedding and even then it wasn't really a problem at all. We loved this place and would stay again. The air con blew directly on to the bed though which was a little annoying when trying to sleep. We discovered though that the sensor for AC temp was in the bathroom (and we had bathroom door closed) so it continued to blow very cold air despite being on auto. Once we figured this out the temp became perfect! 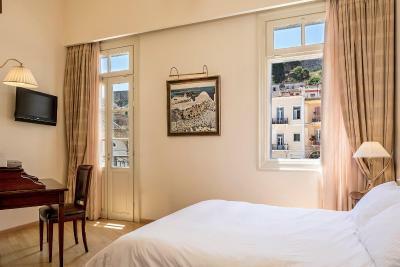 Right in the centre of Plaka, fantastic rooms which are thoughtfully decorated. We had booked 2 rooms, which were both fantastic; the suite was AMAZING, and it was huge. They offered complimentary bottles of wine upon check in and free water daily. Even the shampoos and body wash were top quality. Breakfast was the best I have had in Greece and was served downstairs in either the bar or outside under the best umbrellas I have ever seen! 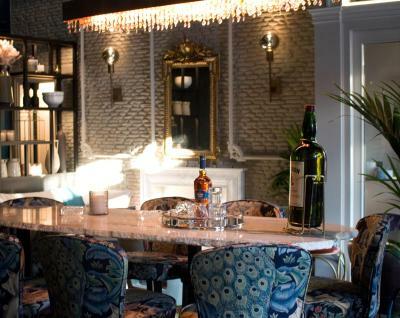 No expense was spared when this beautiful hotel and bar was fitted out. Great location and wonderful service in both hotel and cafe. The room is spacious with comfortable beds and clean. Will definitely be coming back.